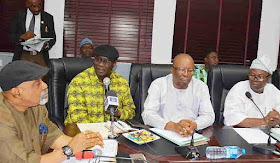 The Academic Staff Union of Universities, ASUU, has suspended its three months old strike conditionally, after meeting with the federal government delegation on Thursday. However, the union promised to to resume strike if govt reneged on newly signed Memorandum of Action. ASUU warned Vice Chancellors against act of impunity, nepotism antithetical to.university culture. The federal government and the striking University teachers had earlier signed an agreement, raising hope of an end to the three months old strike. The University lecturers commenced a nationwide strike late last year to demand for the full implementation of the agreement it reached with the government in 2009.